Lock’n’load: it’s snowballs 2: this time it’s Firestorm! 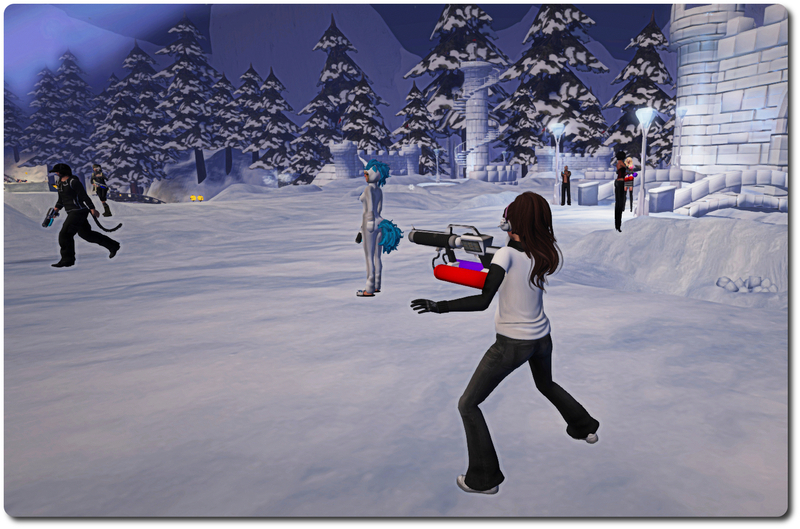 On February 6th, residents and Lindens met in-world for what proved to be a challenge met with gusto and delight: the first in-world snowball fight involving Linden staff in a fair while. As I was able to report from the front lines (when not picking myself up off the floor and dusting myself down after getting splatted by a certain Mr. Gibson Firehawk … several times 😛 ), the event was held in the Winter Wonderland created by the Lab and the Moles to help demonstrate the forthcoming experience keys / tools. Well, with Winter Wonderland liable to be closing its doors in March, due to springtime arriving, the gauntlet has been once again laid down, with a challenge handed out to one and all for a further snowball fight – only this time it comes from the Firestorm team! The Firestorm team wants to do it again! Snowball fight pt 2! For those who couldn’t make it to the first one this is your chance to get involved and have some old school fun! We have extended an invitation to the Lindens as well and hope some of them will join in too. February 6th proved to be a huge amount of fun for everyone involved, something which even recalcitrant weapons vendors and a healthy smattering of lag amidst the snow could do little to dampen. So… if you missed out the first time around, or if you want to do it all over again, be sure to be in-world at the Snowball Warzone in Winter Wonderland by 13:00 SLT on Sunday, February 22nd! It was splat or be splatted; sorry if I hit you but it was pretty fast action out there today. It was fun having shootouts, and also it was very convenient to file crash reports directly with Jessica Lyons and her team. Not that Firestorm crashes that much, but there was so much going on, it had to happen. Think we got each other a few times. although next time around – I’m taking a leaf for your book and using a tiny avie! :). I was on a pre-release FS, which was very stable, no crashes.